Do you make or buy valentines? We are homemade valentine makers around here! This year the kids went all out and worked very hard to create special gifts for their friends. My 3 1/2 year old loves superheroes, especially Batman, and picked out these cool superhero lollipops from Little Bit Funky! The idea is ingenious and was a huge hit. If you have a little one who likes superheroes you have got to see how easy she has made it for everyone to make these. They’d even be fun at a superhero themed birthday party. We made the Batman, Wonder Woman, and Superman ones, but there were also instructions and printables to make the Green Lantern, and the Flash. For Batman we used Zakka Life’s superhero lollipop graphics to add a yellow mask. I thought the mask helped make the brown lollipop coordinate a little better with the black accessories, but it’s definitely cute either way! 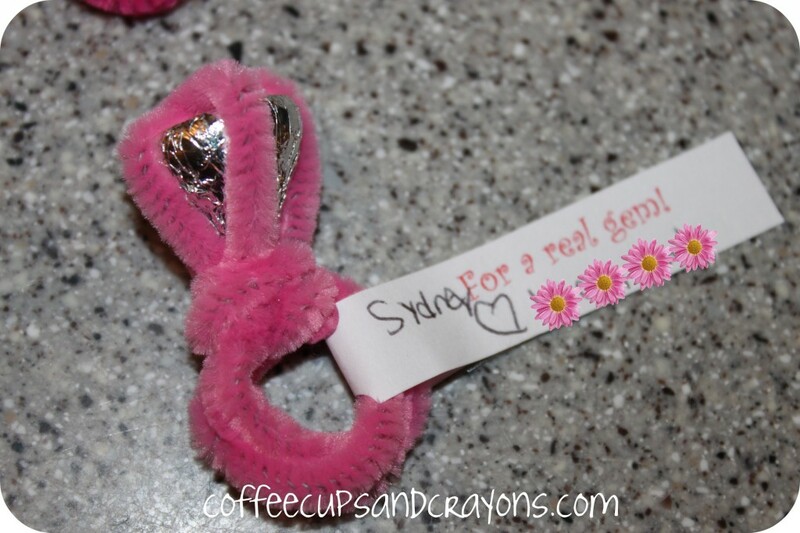 My kindergartener made her own ring out of pipe cleaners and Hershey kisses using the instructions on the Family Fun website. They were extremely cute and she only needed a little help to twist the pipe cleaners around the kiss. No matter what kind of valentines you hand out, Valentine’s Day is the perfect time to show those you care about just how much you love them! 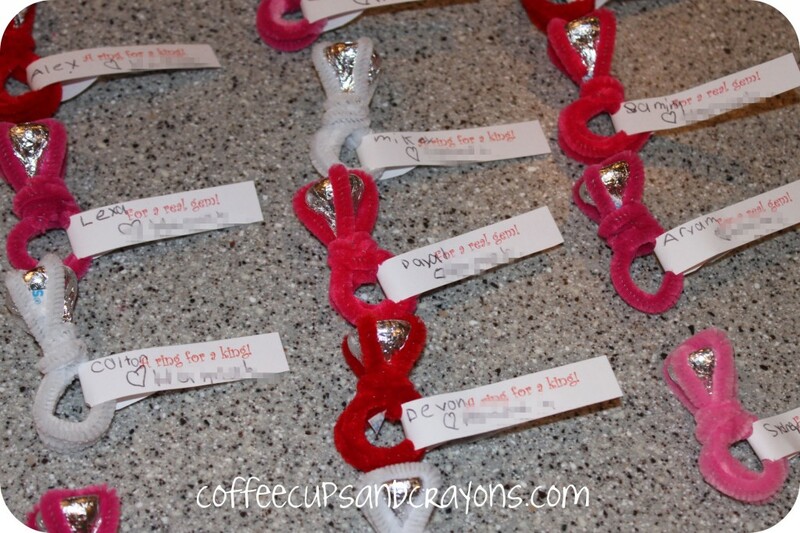 Check out my Valentine’s Day board on Pinterest for more ways to share the love! What fun things are you doing today to celebrate? Those lollipops are cute! We did a super hero party and ended up modifying marshmallow pops! 🙂 That was a fun party to plan- it’s a great theme to work with. 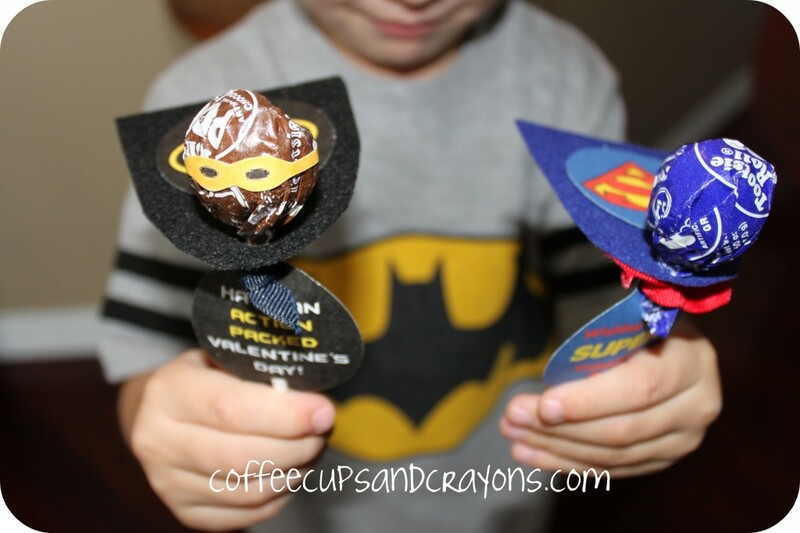 Love the idea of Super hero valentines! I missed the marshmallow pops, I’ll have to check them out. I have pinned many other things from your party b/c we superhero obsessed around here! The bubble wrap was the coolest idea! 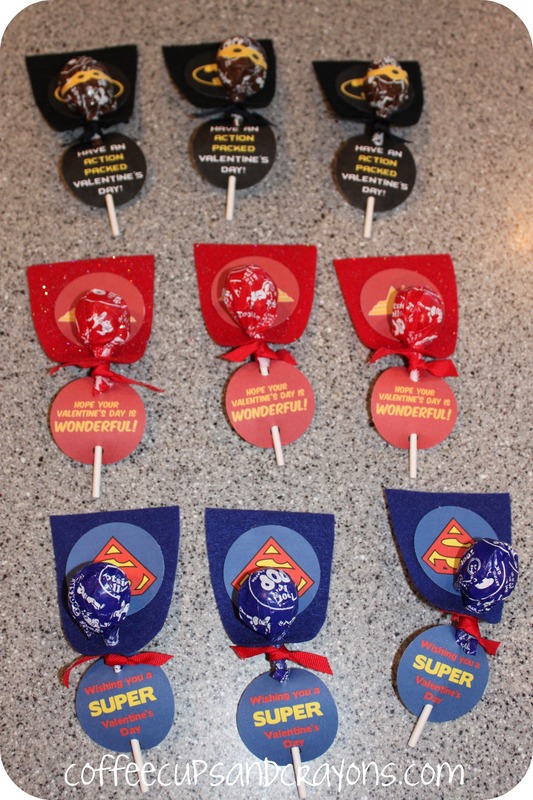 Your superhero lollipops are so cute, I bet kids loved them as party favors!